JML Audio of St. Louis knows how important it is to stay in constant communication with friends, family and coworkers when on the road. The days of having your brick-sized cell phone wedged between your shoulder and your ear are gone thanks to Bluetooth Hands-Free. The next hurdle to overcome is sending and reading text messages. JML Audio has a safety solution for that distraction with CarPlay and Android Auto. Apple and Google are the top cell phone operating system developers in the world. They strive to add new features and functionality to each new system update to out-do each other, and to make using our smartphones more convenient. In 2015, Apple Launched CarPlay and Google launched Android Auto. These smartphone interface solutions are designed to reduce driver distraction while allowing people to stay in communication while behind the wheel. Both CarPlay and Android Auto allow drivers to use voice commands to perform tasks. 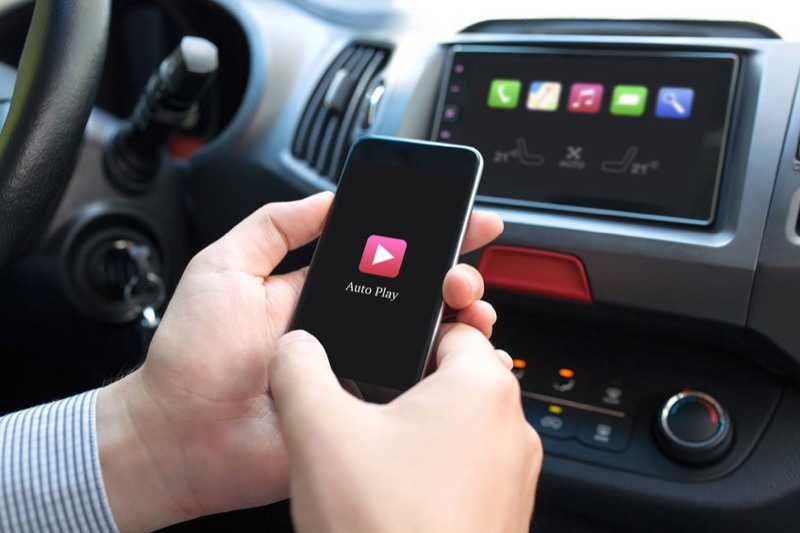 In most cases, all that is required is a single button press, and the radio will launch CarPlay or Android Auto and start listening to what you say. In most cases, this button is available on the radio, and a duplicate can be found on the steering wheel with the radio controls. Your hands never leave the wheel, and your eyes are always on the road. CarPlay and Android Auto integrate directly with your phone’s contact list. You can ask your phone to call a contact and include which phone number by saying, “call Peter Taylor at work” or “call Susan Smith on mobile.” If the number you want to call isn’t in your contacts, you can state the digits. Thanks to your smartphone connection to the Internet, you can ask for a business name, and your phone will offer you a choice of likely matches. We all know the tell tale signs of someone trying to read a text message while driving. They hide their phone in their lap and glance down at it, reading one or two words at a time. This behavior is extremely dangerous and in many states and provinces, illegal thanks to driver distraction laws. CarPlay and Android Auto use voice recognition and text-to-speech functionality to make sending and receiving text much safer. When a new text message arrives, you simply press the voice recognition button and ask your phone to read you the latest text message. Once done, you will have the option to reply. You dictate the message and the system will read it back to you before sending it. Again, your hands stay on the wheel, and your eyes stay on the road. 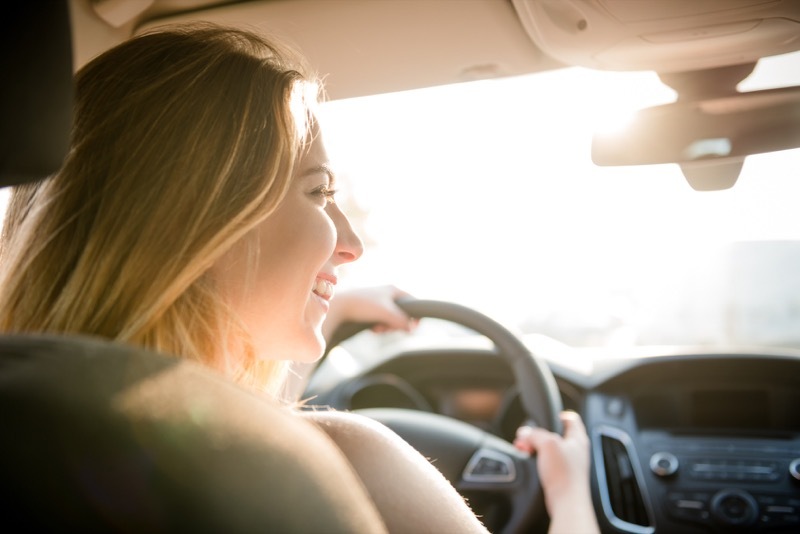 Another way CarPlay and Android Auto help improve safety is by integrating entertainment features into the voice-controlled systems. You can ask your smartphone to play a song on your phone, or more commonly, select and artist and enjoy all their music. Both systems support several third-party audio streaming applications like Spotify. Gone are the days of scrolling through hundreds or even thousands of songs to find the one you want. The National Safety Council reports that 1.6 million crashes take place each year due to cell phone use. 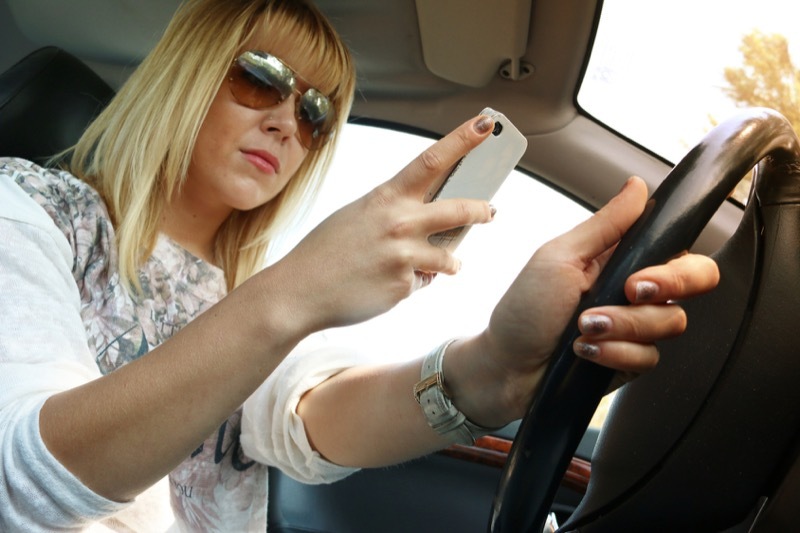 330,000 injuries occur each year because of texting while driving. In fact, statistics show that texting while driving is responsible for 25% of car accidents. Logic dictates that we save our conversation for times when we are not driving, but we know that simply doesn’t happen. If you need to stay in touch, then we invite you to visit JML Audio of St. Louis and experience CarPlay and Android Auto. We have several source units on display and can connect your phone to them to demonstrate how easy they are to use. In most cases, we can have a new CarPlay, or Android Auto equipped radio installed in your vehicle within a day or two. For more information about how we can make your drive safer with CarPlay and Android Auto, send us an e-mail using our online contact form.